Street Fighter V releases next month, and with it comes an official guide. Capcom claims the book can teach players everything from combos to frame data. 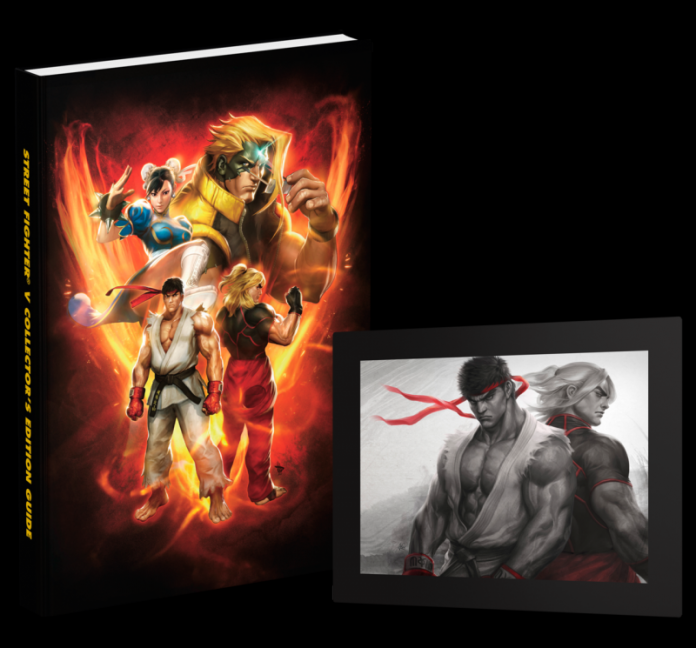 The Street Fighter V Collector’s Edition strategy guide is put together by the team at Prima Games (via Capcom Unity). Capcom says the strategy guide will divulge every little thing about the game’s frame data that you could possibly imagine. “For those who like frame data, every attack in the game for every character is listed, including startup, active frames, recovery, damage, stun, and more,” Capcom writes. The guide also includes “comprehensive character strategy” that will help players learn how to play as and play against every character. Also included is a mobile-friendly “eGuide” that will be updated as the game changes and new characters are added. The guide comes with more than just fighting strategy. It also includes a 16-page art gallery and a frame-ready print of Ryu and Ken. The guide will be available on February 16, the same day as the game, and will cost $39.99. Capcom announced recently that Street Fighter V will support the Steam Controller and Steam OS. And if you want to see every confirmed Street Fighter V character so far, you can check out GameSpot’s gallery.